You are having breakfast. Suddenly you hear breaking glass and a football comes flying towards you. The boy who shows up at your door claims he cannot be punished because his father works for the EU in Brussels. a.) Some people are simply more equal than others. b.) Only EU staff enjoys immunity before the law; this does not include their relatives. c.) The boy is very much mistaken. He has no choice but to offer compensation for the damage. “Will you pass me the ‘Marmelade’ (marmalade), please,” you innocently said during breakfast today, for which you were immediately rebuked: In the EU you have to call it ‘Konfitüre’ (jam)! a.) No further comment necessary. b.) A sticky situation but no, that’s only what the French call it. c.) This is not correct – “Marmelade” is still used. It is Saturday morning. You are proudly mowing your lawn with the new super lawn mower 700 Eurostar. Your neighbor waves you over to the fence, gesticulating wildly. He wants to know whether the noise of the lawn mower conforms to EU guidelines. Is there such a guideline or is your neighbor mistaken? a.) Yes, the guideline exists. b.) Your neighbor is uninformed: The guideline applies exclusively to industrial mowers with grass bags with a volume over 300 liters. c.) In Europe there is no restriction on the noise level of lawn mowers. Christmas is around the corner. You are strolling along the street enjoying the window displays. To your surprise you find a Mrs. Claus costume right next to a Santa Claus costume. A sign in the shop window explains that this costume is offered in accordance with the EU’s equal opportunities policy. a.) Correct. Gender equality is regulated by the EU Commission down to the last detail. b.) This must be a Christmas carol! Even for the otherwise strict EU Commission the equality of rights does stop with Santa Claus. c.) This is correct. A difference in the price of the two costumes would also go against the equal opportunity policy. a.) Certainly! 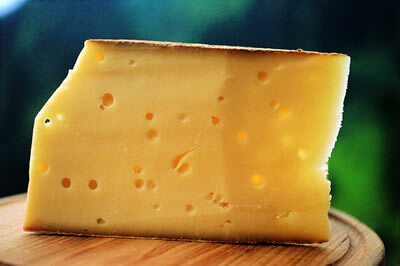 Tyrolean mountain cheese must only be made in Tyrol. After all this is a protected regional speciality. b.) Tyrolean mountain cheese has not been made in Tyrol since 1992.
c.) Tyrolean mountain cheese must be made of milk but not in Tyrol.